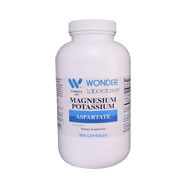 Foods that are high in magnesium include nuts and seeds, fatty fish like salmon, avocados, bananas, and dark leafy greens, such as spinach, kale and collard greens. 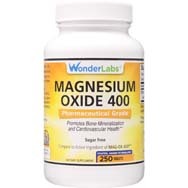 You may have a magnesium deficiency if you’re experiencing symptoms like an irregular heartbeat, irritability, muscle spasms, cramps, depression, and high blood pressure. 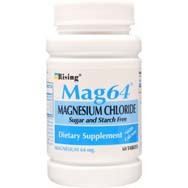 Depending upon your gender and age, your recommended dietary allowances for magnesium will vary, according to the National Institutes of Health. 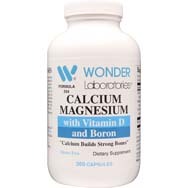 They range from 280 to 300 mg for adult females, 270-400 mg for adult males; 320 mg for pregnant females; 340-355 mg for breastfeeding females; 40-85 mg for infants up to 3 years of age; 120 mg for children 4-6 years old; 170 mg for children 7-10 years old; 280-300 mg for teen females and 270-400 mg for teen males. 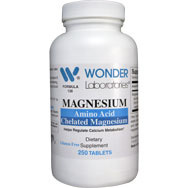 Strive to boost your magnesium intake through healthy foods. 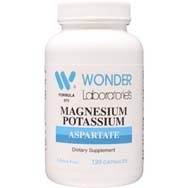 If you’re unable to maintain daily dietary allowances, consider adding a magnesium supplement to your diet. 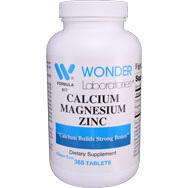 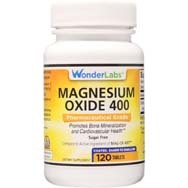 WonderLabs features an assortment of magnesium supplements to fit a variety of needs.